Fri. DEC. 13, 2013, 2nd flr Studio A - LIVE Drums! Check FULL schedule below for more of the weekend of activities. 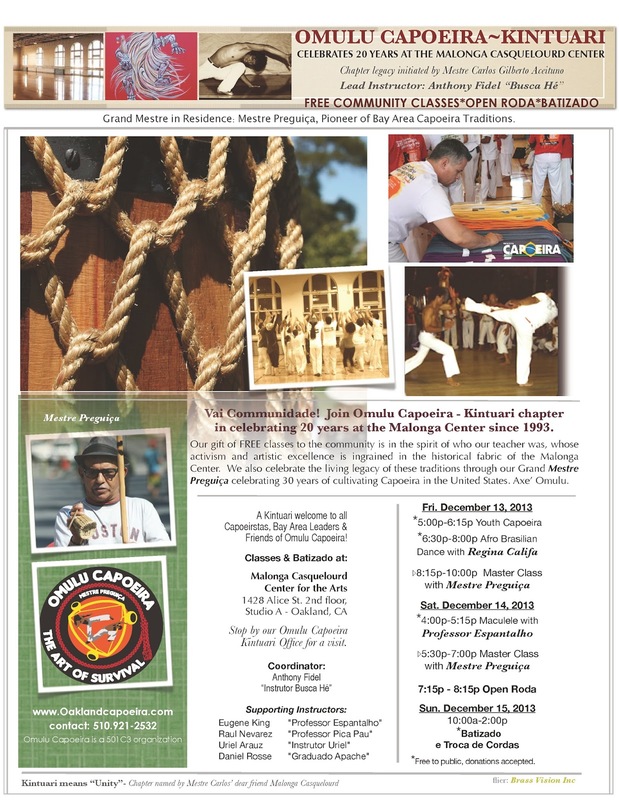 Stop by the Omulu Capoeira Kintuari Office for a visit. *Free to public, donations accepted. Uriel Arauz "Instrutor Uriel", & Daniel Rosse "Graduado Apache"